Cafe Italia is an expansion pack for Bar Italia. Their companion pack is Pizzeria Italia. 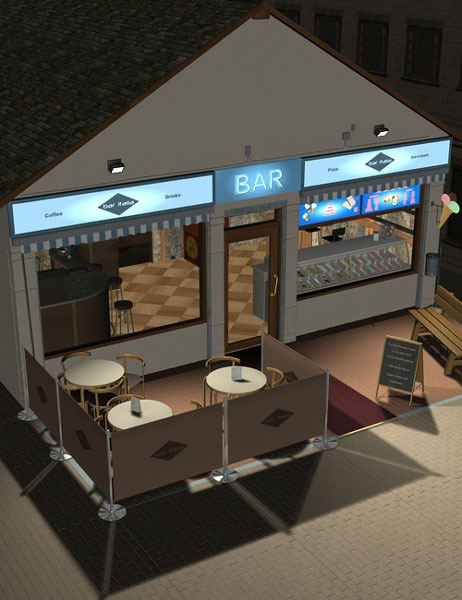 The Cafe and Bar can be used together, or loaded with the Pizzeria to form a single cafe, bar and pizzeria. The main figure is the cafe structure - front facade, roof, posable awnings and shutters, plus the gelateria (ice-cream counter) window. The outside area, in front of the cafe, is marked out by a ground plane with a sidewalk surrounding it. One side is the cafe seating area, cordoned off for customers, and the other side is where customers can buy ice-cream at the counter which gives onto the street. 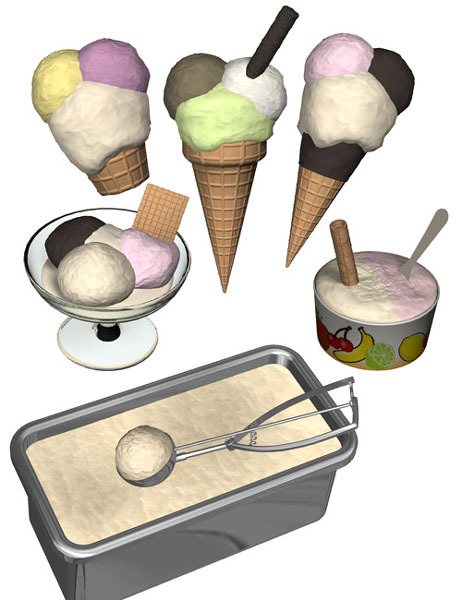 Over 40 props are included - everything from ice-cream cones, cups and containers to tables, chairs, a bench and litter-bin. The Cafe comes in full DAZ Studio and Poser versions with native files, and each version contains a pre-built scene which loads with everything in place. A night light set with 3 presets for the neon signs is also provided.